On Aug. 14, Wayde van Niekerk took gold in the 400-meter sprint competition and set a new world record for the event at 43.03 seconds. Along with being a major accomplishment for the 24-year-old South African runner, it was a big moment for his country, the extent of which is illustrated by a piece of his family history. His mother, Odessa Swarts, was a track and field athlete in her day, and though she competed within the country, Van Niekerk's mom was barred from the Olympics under apartheid. South Africa's News24 reported that Swarts held at least six sprint records from high school and club competitions on the national and provincial levels. But she never had a chance to represent her country under apartheid, which institutionalized racist policies that discriminated against South Africans of color. But Swarts is not bitter about her lack of opportunity, focusing instead on her son's success. She told CNN, "If I had all those opportunities, my son wouldn't be here today. That era wasn't meant for me — it was meant for the generation that's coming through now." Van Niekerk was born two years before apartheid laws were officially repealed in South Africa. As an athlete of color, he felt the significance of representing his country in the Olympics. "When I got over the finish line, I felt like a proud South African, not a proud colored South African," he told CNN. "I'm happy and proud to be an ambassador for my country." Swarts is amazed by her son's talent, particularly considering that he was born prematurely at 29 weeks. "We were told if he makes it through the first 24 hours, he will have a disability," she told CNN. "Today he's standing on the world stage. Who would have ever thought?" His astounding performance Sunday night smashed a 17-year-old record and garnered a congratulatory hug from running star Usain Bolt. 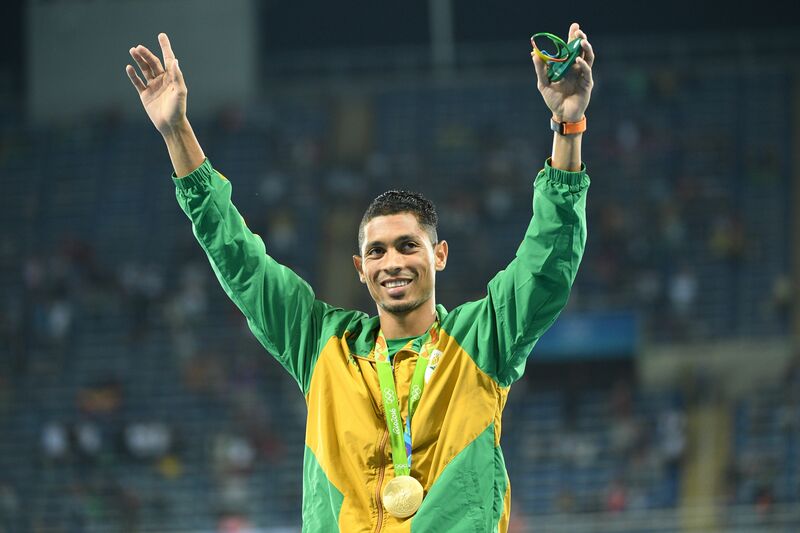 Van Niekerk's win was one of several moments in which athletes of color have made history during the 2016 Olympics. Simone Manuel became the first black female swimmer to claim a medal in an individual event, Simone Biles became the first American woman to win four golds in a single Olympics, and shot-putter Michelle Carter became the first American to win gold in her event. South Africa never gave his mother the same opportunities he had, but van Niekerk did his mother, and all of South Africa, proud with his stunning performance.